Masood suffer Sikder Bangladesh Bank official Golam Rabby's lawyer said police tortured his client's First Information Report (FIR) filed that there is no legal bar Wednesday, UNB news agency reported. Mahbub Hossain Khokon, Rabby's lawyer, the Supreme Court on Wednesday on legislation Journalists 'Forum (LRF)' and have said this at a press briefing. Barrister Khokon High Court's decision to the Supreme Court within three days of order on January 25 has been lost and the state counsel to seek extension of time has not filed any petition. High Court had ordered last January 25 after an FIR is being considered as effective as the guru of the authorities to take the complaint said. On January 21, the Supreme Court of the First Information Report (FIR), as allegedly was tortured by police, the Bangladesh Bank official Golam Rabby, to accept the complaint, the High Court orders . Chamber Judge Hazan Foyez Siddiqui moved by the state, under a plea until January 25 hearing by the High Court stay order and sent it to the court of appeal. January 18 at the High Court Ehsanur Rahman and Julfikar Ali Jan and a journalist, Jahid lawyers- Supreme Court, following a writ petition filed FIR against police as Golam Rabby to accept the complaint, Officer-in-Charge Mohammadpur police station Hassan ordered. The High Court also Rabby 'police torture illegal and should not be declared unconstitutional, asking to explain why a rule is issued. 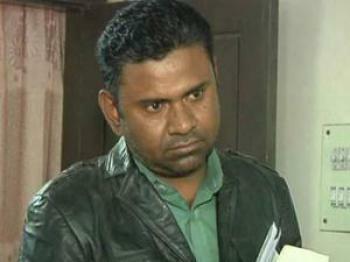 On January 9, Golam Rabby, 28, an assistant director of a bank in Bangladesh, allegedly paid a bribe of Tk 5 lakh for refusing to Mohammadpur Police Sub-Inspector Masood Shikder and anything else in a police vehicle had been tortured.